KnowledgeBase » How to factory wipe F12 ? Ensure that your device is fully charged. Step 1: Power off your F12 device completely. Step 2: With the Volume + button pressed push the power-on button as shown below. 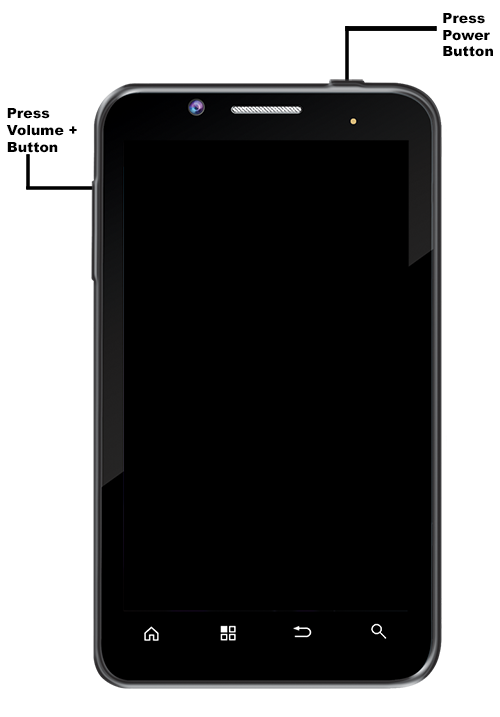 Step 3: Use the Volume – button to browse through the options. 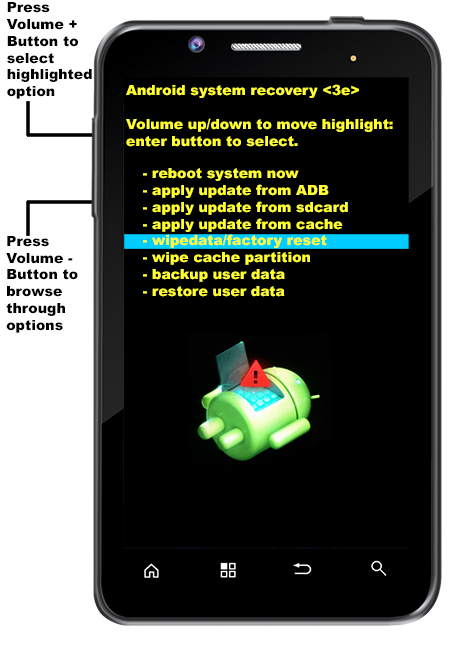 Once you have reached wipedata/factory reset press the Volume + button to select it. KnowledgeBase > nTice > DOMO F12 > nTice F12 Firmware > How to factory wipe F12 ?